I am sure I have mentioned at some point in the past that I am not particularly a big fan of making New Year’s resolutions. That is because people say that they intend to make these changes before the new year starts, and within no time, they are no longer interested in keeping their resolutions. That only suggests that people say that they are making these resolutions for the sake of saying so. And really, who are they trying to impress? With that said, they really never had any intention of making any changes. And, not to mention, you can make changes for the better if you really wanted to at any time of year – not just for any new year to begin. And, for this reason alone, this is why whenever I tell people about how I started my weight loss journey, I make it clear that it had nothing to do with any silly resolutions. The timing for me when I was truly ready to make this drastic change just happened to be in mid-January of 2018 for a variety of reasons. And, one thing that I will say that I 100% intend to happen in 2019 is to reach my goal. That is because I will keep going with this, and I really don’t have that far to go. I have lost just about 50 lbs so far, and I want to knock off another 30 – give or take. That will happen in 2019 because I am not going back to where I was before I started embarking on this journey. It is only logic lol. However, there is one thing that I would like to see people do once the New Year hits since it is only a day away (depending on where you live anyway). I want people to realize how dangerous it is to only have positive thoughts, and I want them to stop fearing negative thinking in general. These dangerous woo-woo gurus prey on desperate people who are in bad situations by telling them that they have to think positive all of the time to fix their lives. They also tell them that they must push away any kind of negative thoughts that enter their minds. The reason for that is if they allow any negative thoughts to go through their minds, then they are told that they are only attracting more bad things! Not only is that a load of bull, but that is dangerous. Flat out dangerous. Why is it so dangerous? I will tell you exactly why. Because even though it is important to be cautiously optimistic (not blindly my friends), you also need to pay attention to any negative thoughts you have about any particular situation. These negative thoughts are not entering your mind to stop you from attracting good things in your life. These negative thoughts are there to help you stay realistic about a situation. A healthy dose of both positive and negative thinking when it comes to any situation you are in helps you stay realistic about it and it is crucial to have a good balance of both when it comes to any kind of problem-solving. For instance, if you are sick because you are running a fever and you are extremely weak without having an appetite – you can’t just imagine yourself being healthy while you are feeling like death warmed over. You can’t just say and magically think that if you keep convincing yourself that you are healthy that you will all of a sudden be healthy again! No! You need to acknowledge that you are sick and that you are not getting better! Is that negative thinking? Well, yes, technically, but it is also being realistic about the fact that you need to see a doctor right away. So, with that said, once you get checked by a doctor, and take any medication that he or she prescribes, then you have every reason to believe that you will get better and stop feeling like death warmed over! So there it is! The positive thinking can most definitely happen once you have the problem addressed! Because, if you magically think you are healthy while you are feeling like you are dying, if you have a serious infection that is causing you to feel awful – well, that can lead to serious consequences if you don’t address it at all. Do I need to elaborate on that? Sorry, but that unrealistic optimism is not going to help you get better! There you go! So, for 2019 and beyond that, quit believing these magical thinking so-called spiritual gurus, and don’t be afraid of having realistic negative thoughts about any situation that does not feel right to you! Being real is not synonymous with pessimism! Happy New Year and go into it with having realistic thoughts!! 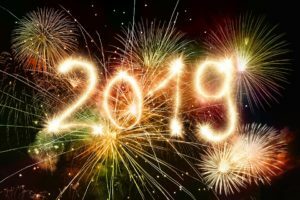 The post Let’s Talk About A New Year’s Resolution That Everyone Should Keep – Don’t Fear Negative Thinking appeared first on .